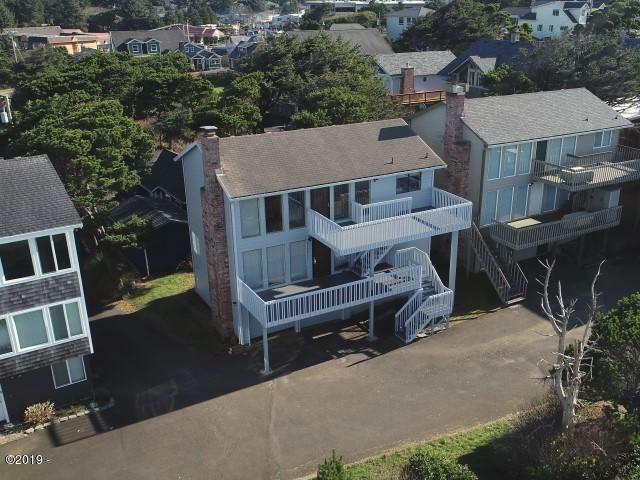 Panoramic, oceanfront, high bank white water views, tucked away in SW Lincoln City. Sellers have recently completed an exterior face lift to the property! This four bedroom/two bathroom home has two living rooms w/two fireplaces, two kitchens and double car garage. Just a short distance to the beach, restaurants and shops. This home would be a great full time residence or vacation getaway!